Progressive Field is the site of the matchup between the Chicago White Sox and the Cleveland Indians on Sunday, October 1, 2017. The probable starting pitchers are Chris Volstad for the White Sox and Josh Tomlin for the Indians. Chicago opens at +160 while Cleveland opens at -170. The White Sox have a 76-78-6 over/under record and a 86-74-0 run line mark. The Indians are 82-78-0 against the run line and have a 61-89-10 over/under record. The White Sox have a 66-94 overall record this season. Starting pitcher Chris Volstad has a 1-1 record with an earned run average of 4.73 and a WHIP of 1.05. He has 8 strikeouts over his 13.1 innings pitched and he's given up 13 hits. He allows 8.8 hits per 9 innings and he has a FIP of 6.3. The bullpen has an earned run average of 4.33 and they have given up 493 base hits on the year. Teams are hitting .240 against the bullpen and they've struck out 506 hitters and walked 237 batters. As a team, Chicago allows 8.8 hits per nine innings while striking out 7.6 batters per nine innings. They are 25th in the league in team earned run average at 4.81. The White Sox pitchers collectively have given up 1,376 base hits and 751 earned runs. They have allowed 242 home runs this season, ranking them 2nd in the league. Chicago as a pitching staff has walked 622 batters and struck out 1,184. They have walked 4 men per 9 innings while striking out 7.6 per 9. They have a team WHIP of 1.42 and their FIP as a unit is 5.18. As a team Chicago is hitting .257, good for 14th in the league. The White Sox hold a .419 team slugging percentage and an on-base percentage of .315, which is good for 23rd in baseball. They rank 14th in MLB with 8.8 hits per game. Jose Abreu is hitting .304 with an on-base percentage of .354. He has 187 hits this season in 615 at bats with 102 runs batted in. He has a slugging percentage of .553 and an OPS+ of 140. Tim Anderson is hitting .259 this year and he has an on-base percentage of .278. He has totaled 151 hits and he has driven in 56 men in 583 at bats. His OPS+ is 82 while his slugging percentage is at .405. The White Sox have 1,400 hits, including 252 doubles and 185 home runs. Chicago has walked 398 times so far this season and they have struck out 1,378 times as a unit. They have left 1,044 men on base and have a team OPS of .733. They score 4.39 runs per contest and have scored a total of 703 runs this year. Cleveland has a 101-59 overall mark this year. With an earned run average of 5.11, Josh Tomlin has a 9-9 record and a 1.30 WHIP. He has 103 strikeouts over the 135.2 innings he's pitched. He's also given up 162 hits. He allows 10.7 hits per nine innings and his FIP stands at 4.14. The bullpen has an earned run average of 2.91 and they have given up 407 base hits on the year. Teams are hitting .225 against the Indians bullpen. Their relievers have struck out 538 batters and walked 146 opposing hitters. As a team, Cleveland allows 7.9 hits per nine innings while striking out 10.1 batters per nine innings. They are 1st in the league in team earned run average at 3.33. The Indians pitchers as a team have surrendered 1,255 base knocks and 526 earned runs this season. They have given up 162 home runs this year, which ranks 30th in Major League Baseball. Cleveland as a staff has walked 403 hitters and struck out 1,595 batters. They give up a walk 2.5 times per 9 innings while they strike out 10.1 per 9. Their team WHIP is 1.17 while their FIP as a staff is 3.33. As a team, they are batting .264, good for 5th in the league. The Indians hold a .452 team slugging percentage and an on-base percentage of .339, which is good for 3rd in baseball. They rank 9th in MLB with 9.0 hits per contest. 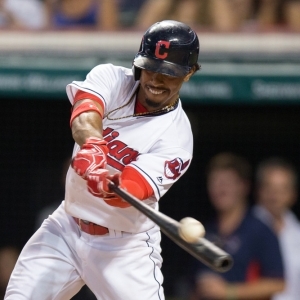 Francisco Lindor comes into this matchup batting .276 with an OBP of .337. He has 178 hits this year along with 88 RBI in 646 AB's. He maintains a slugging percentage of .509 with an OPS+ of 116. Edwin Encarnacion is hitting .261 this season and he has an OBP of .381. He has collected 143 hits in 548 at bats while driving in 107 runs. He has an OPS+ of 130 and a slugging percentage of .509. The Indians as a unit have 1,441 base hits, including 331 doubles and 212 homers. Cleveland has walked 594 times this year and they have struck out on 1,144 occasions. They have had 1,144 men left on base and have an OPS of .792. They have scored 5.09 runs per game and totaled 814 runs this season. Who will win tonight's White Sox/Indians MLB game against the spread?